Catch us on Dan Rodricks Midday on WYPR this coming Friday, March 22nd, from 1-2pm. If you don't have a radio handy, you can listen to the station's live online stream here. 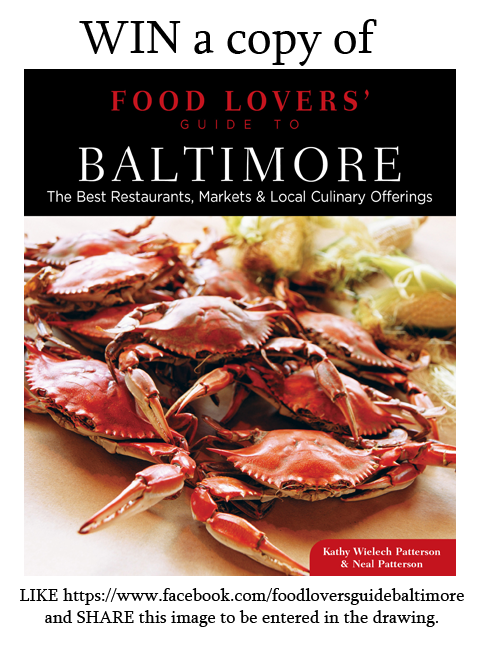 And, if you'd like to win a copy of the Food Lovers' Guide to Baltimore, go to the book's Facebook page at https://www.facebook.com/foodloversguidebaltimore and share the image posted March 6 that looks like the picture below. Just "liking" the image won't get you entered - you must share it. Contest ends 3/29.